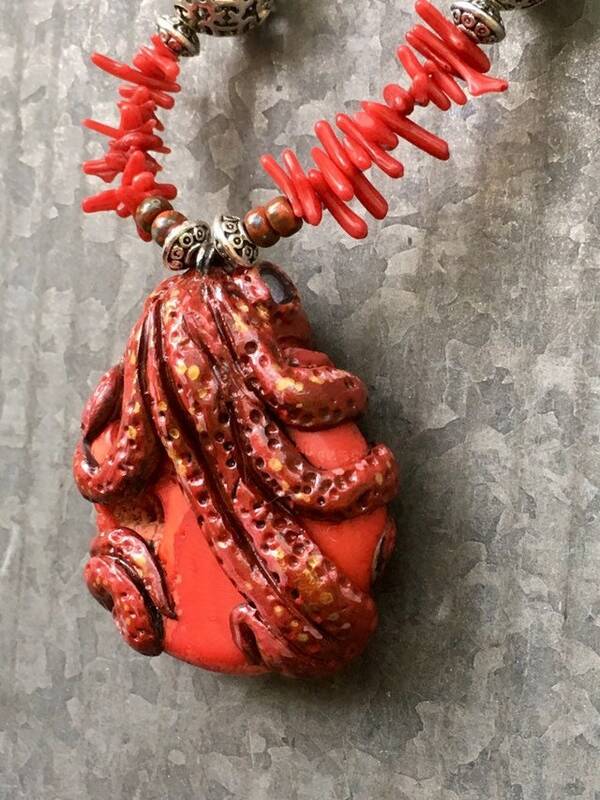 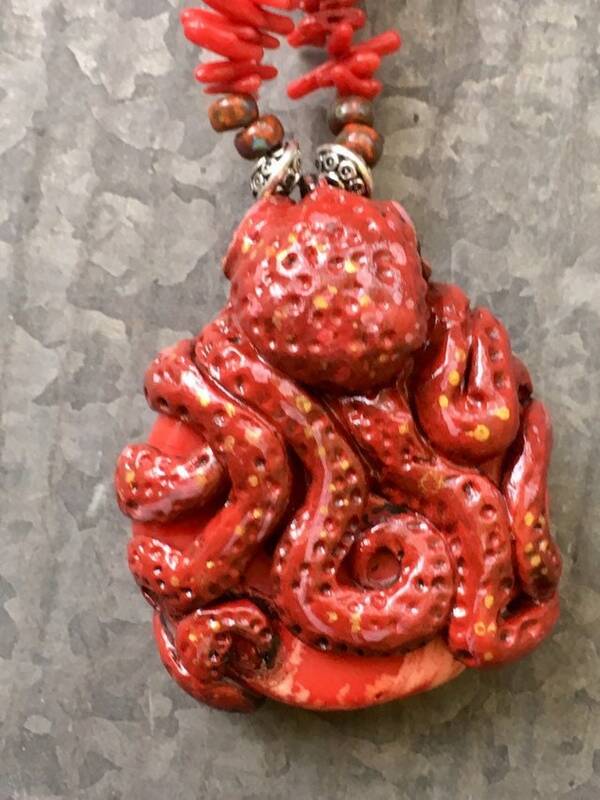 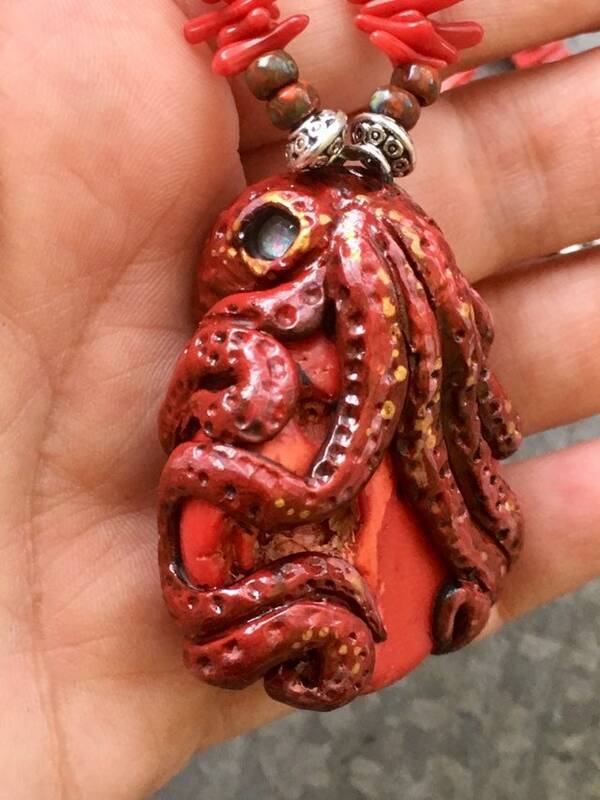 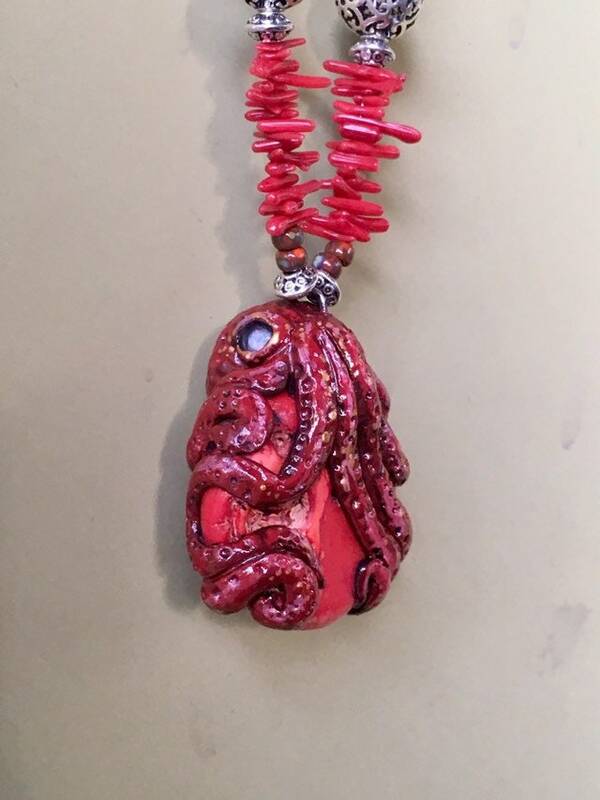 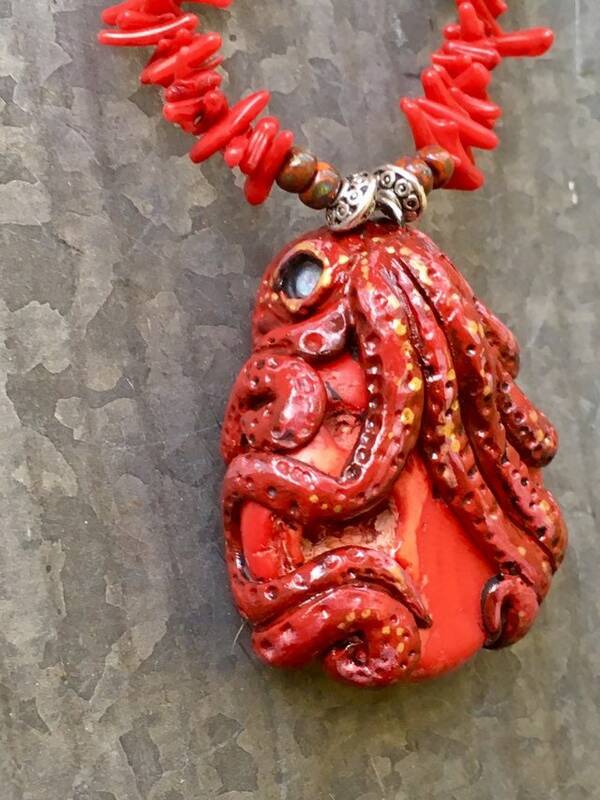 Beautiful vintage red coral stone with a hand sculpted, painted and finished Octopus clutching his treasure. 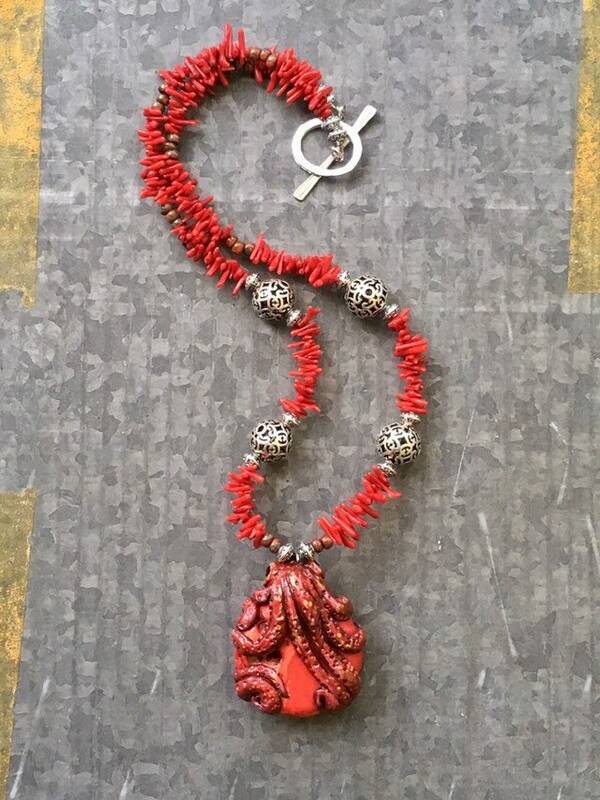 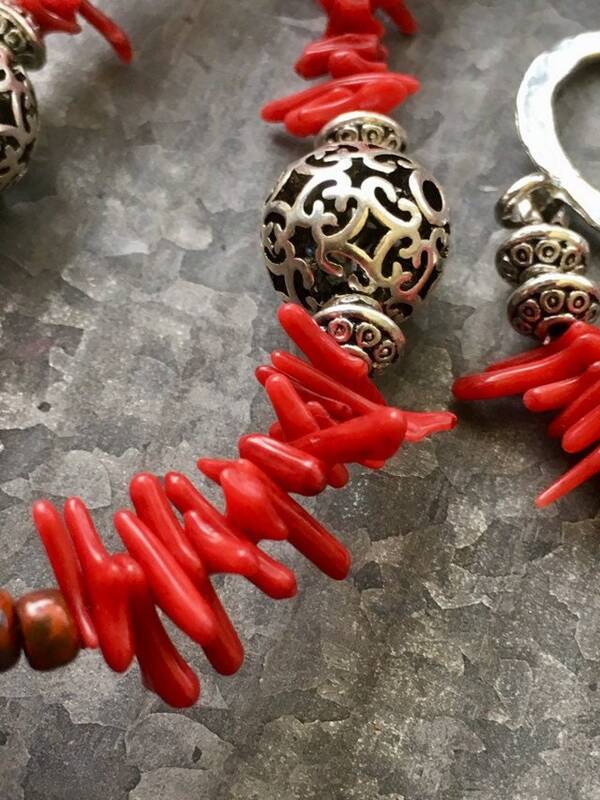 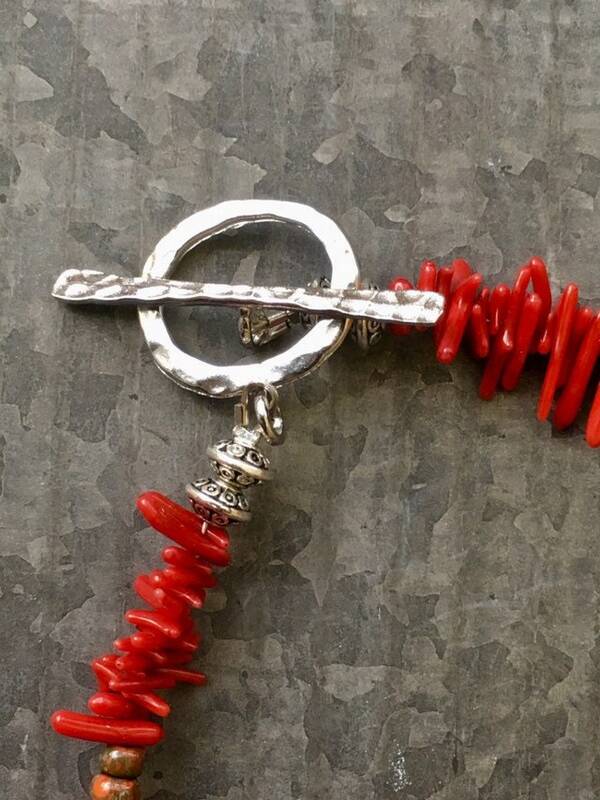 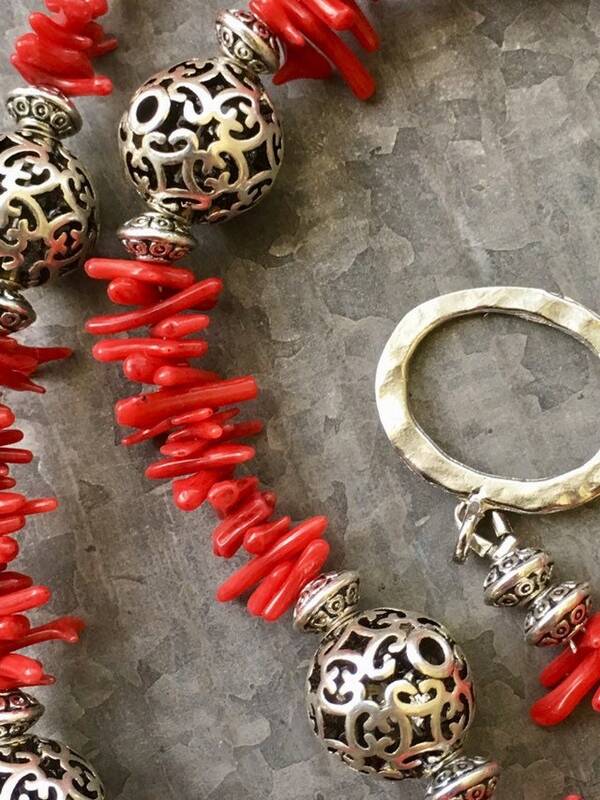 Features a beaded necklace with tiny red coral bits! 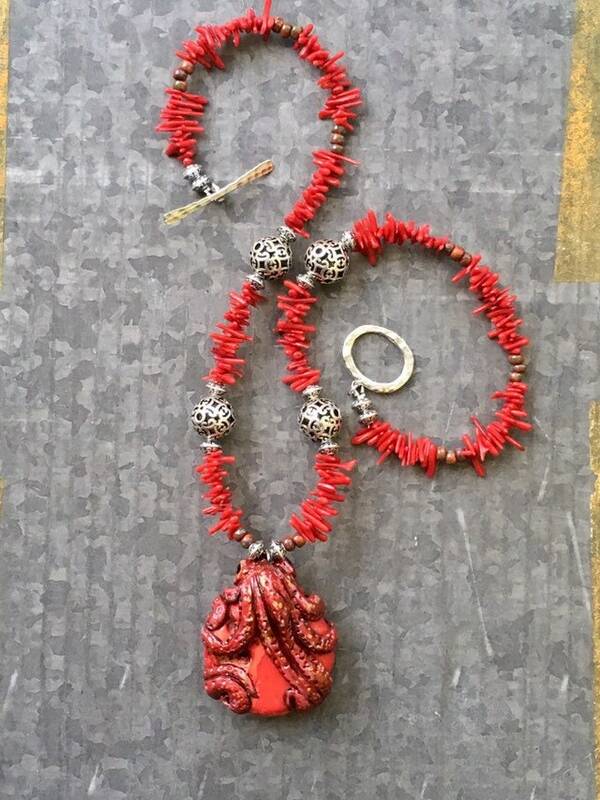 One-of-a-kind show stopper!